Lulu, back to her sneaky ways, has returned this year to get down to the bottom of AAA's mysterious Project X, despite her cousin's wishes. Hidden inside the Royal Neopian are AAA's plans, but they're hidden behind a set of doors that need to be unlocked. In order to unlock doors, you will need to purchase key packs from the NC Mall. After purchasing, keys can be activated by clicking on them in your inventory and selecting "Activate" in the action menu. 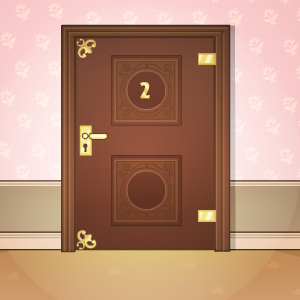 You keys may be used to open one door each day of the event. There will be 20 days and 20 doors to open. To open a door, simply click on the door you wish to open. You are able to open past doors on any day throughout the event. For completing all 20 days of the event, you'll receive the following bonus! This page was last updated on May 2, 2016.